Twenty five years ago, a movie called ‘A league of Their own,’ starring Tom Hanks, Geena Davis and Madonna was released. 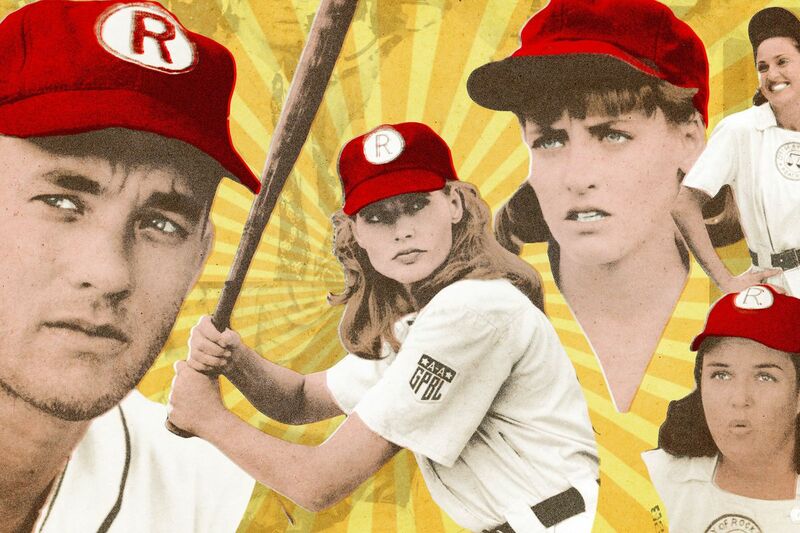 It told the story of The Rockford Peaches, a women’s baseball team that competed in a women’s league created during the war, when all the men were away, to keep the baseball leagues from going under. The movie is still noted as one of the best sports movies of all time, and even now 25 years later, it will make you laugh and cry in equal amounts. Heres one of the best scenes of any movie ever made….. In honour of its anniversary, we picked some of the best movies about Girls in Sport to inspire you to get out and play ball, or skate, or surf, or whatever. If you thought roller derby was cute, think again. We watch Ellen Page’s character, Bliss, find herself as she learns to skate, block, and whip. Yes, she whips it good. It’s a coming of age story with roller skates that will make you proud to be number two. Ireland has recently seen some roller derby leagues start to grow slowly, so if it sounds like the craic, google it pronto. This surfing movie starring Kate Bosworth gets at how scary the sport can be. The shots of waves crashing down on people and Bosworth’s Ann Marie Chadwick having her head slammed against a rock definitely adds to the fear factor. It’s hard not to watch this movie and have even more respect for surfers, male and female. This movie combines soccer and religion and how they intersect for one Indian woman. Jess Bhamra wants to play soccer, but her more traditional Sikh family would like to see her do pretty much anything else. The movie is about soccer, yes, but it’s also about growing up and finding your own way, with or without your mom and dad’s permission. Grab the tissues for this one about a small town female boxer who is trying to make it to the big time with her cranky coach, who doesn’t think women are tough. Boy, does she teach him. You’ll definitely understand why Hilary Swank won her second Oscar for this one.